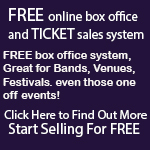 Norfolk and Norwich Recording Studios - Norfolk Gigs - Norfolk Gig Guide - Norwich Gigs. Page 1. Add Your Norfolk and Norwich Recording Studio Here! Tel: 01502675055 Small project studio. Specialising in acoustic acts. Linked to BFG Records, a small indie label for all distribution and tour needs. Tel: 01603 622550 Norwich Recording Studios - Purple Studios. East Anglia Premier Sound Recording Venue Norfolk. Tel: 01603 740 026 Housed in an 18th century converted barns located just outside Norwich, Ashwood prides itself in providing clients with a creative, relaxed and friendly recording environment whether the project is a commercial release or demo. Tel: 07535687214 At Blaze Studios, we aim to give you the best sounding recording possible using industry standard Pro Tools 10HD and great digital/analogue equipment. Tel: Tel 01728 687959 We are a friendly orientated studio based in Tunstall, Suffolk where we endeavour to get all our customers the best possible sound using high end quality equipment. Reasonable hourly rates. Tel: 01362 694275 Small studio in Dereham that has been operating for 25 years. Specialising in Jazz , Country and Songwriting.